The Department of Animal Sciences is created in 2015, which was originally a part of the Center for Biosciences (Established in 2009), is well-equipped with teaching and research laboratories. 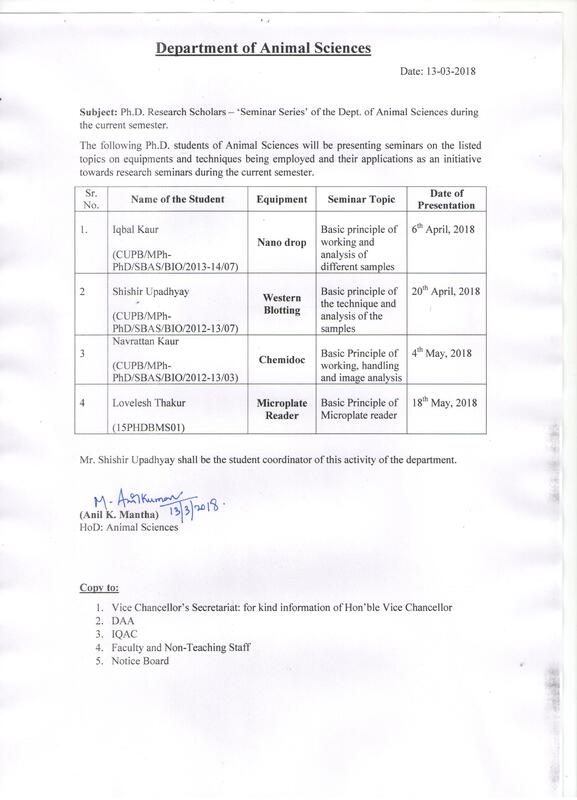 The department has vibrant and young faculty with national and international experience and expertise in frontier areas of basic and advanced research in animal biology. Faculty members cover wide area of research specialization from neuroscience to cancer biology to entomology. The quality of the faculty members is evidenced by their high impact publications (total no. of publications accounts to 144, with a commulative impact factor of 450 approximately). The research programs of the faculty are supported by Grants from National and International Funding Agencies accounting to an amount of Rs. 4.3 crores. DNA damage-repair mechanisms in neuronal and non-neuronal cells; role of APE1 enzyme in various human diseases; development and characterization of plant based therapeutics aiming at functional modulation of APE1. Hormone-dependent development and plasticity of the metabolic brain in physiological and pathological conditions. Host-parasite interactions during transmission in the mosquito; and search of novel targets for effective insect-pest management. To identify the potential biomarkers for cancer and determine their theraputic potential. 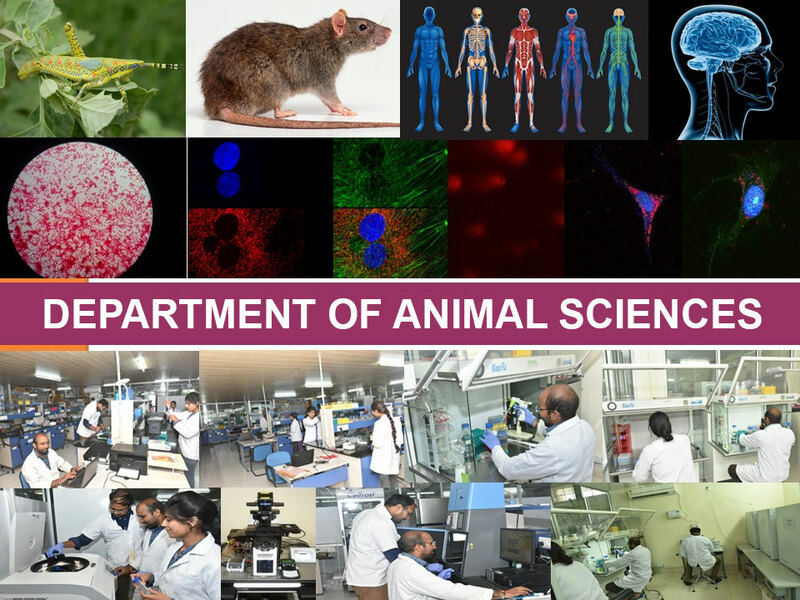 Department of Animal Sciences features state-of-the-art laboratory with the latest scientific infrastructure. Among the high-end equipment are advanced gel documentation system, high speed refrigerated centrifuge, 2-D gel electrophoresis, inverted microscopes, humidified CO2 incubators, and -60o & -20o C deep freezers, insectory facility and animal cell culture facility. In addition to its own facilities, other advanced facilities like Confocal Laser-Scanning Microscope, Field-Emission Scanning Electron Microscope, 96 capillary Automated DNA Sequencer and flow cytometry are readily available through the Central Instrumentation Laboratory (CIL) at CUPB. Neural-glial-endothelial tripartite interactions: Unravel the basic cell-cell regulatory Mechanisms involved in the central control of reproduction.